Dr. Tripp Davis attended the University of South Carolina for his undergraduate studies. He then received his Doctor of Dental Surgery degree from the Medical College of Virginia (MCV) located in Richmond,Virginia. Upon receiving his degree, Dr. Davis furthered his dental education by attending a one-year residency, at MCV, in Advanced Education in General Dentistry. In this residency, Dr. Davis focused on cosmetic dentistry, dental implants, and complex dental cases. Dr. Davis and his staff practice the most modern dental treatments available. As part of their ongoing commitment to outstanding patient care, they attend continuing education classes across the country. 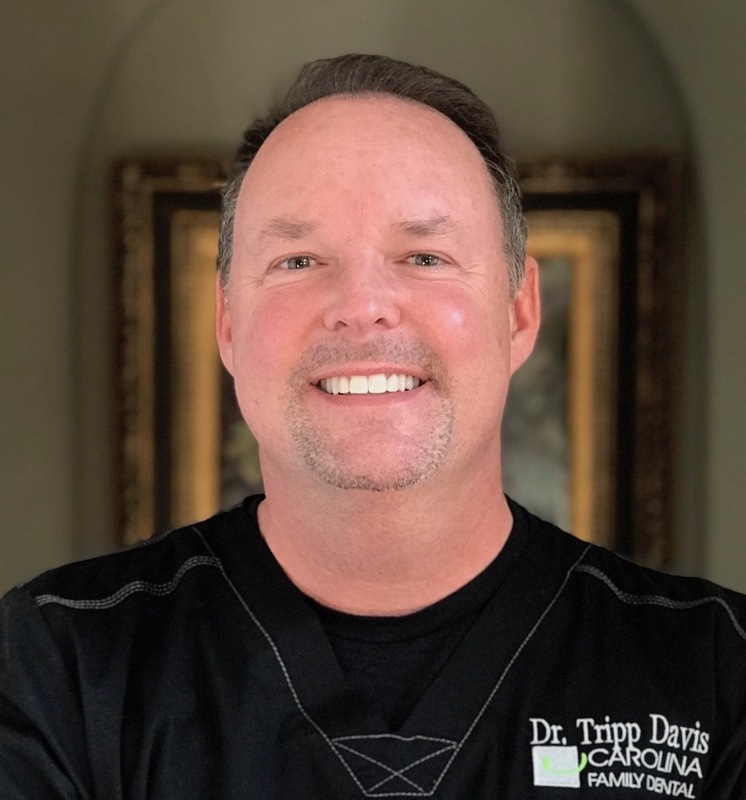 Dr. Tripp Davis is a member of the American Dental Association, South Carolina Dental Association, Academy of Cosmetic Dentistry, North Myrtle Beach Rotary Club and the North Myrtle Beach Chamber of Commerce. Dr. Jason Landino is a native of Milford, Connecticut. He attended Quinnipiac University for his undergraduate studies, where he earned a Bachelor’s degree with honors in Biomedical Sciences with dual minors in Chemistry and Microbiology/Molecular Sciences. He later received his Doctor of Dental Medicine degree from the University of Connecticut School of Dental Medicine where he was the recipient of the Quintessence Award for his academic and clinical achievements in restorative dentistry. After obtaining his degree, Dr. Landino furthered his dental education by attending a one-year residency program in Advanced Education in General Dentistry at the Virginia commonwealth University (formerly MCV – where Dr. Tripp Davis also attended residency). During this year, Dr. Landino was able to provide complex care for his patients - with an emphasis on cosmetic and implant dentistry. 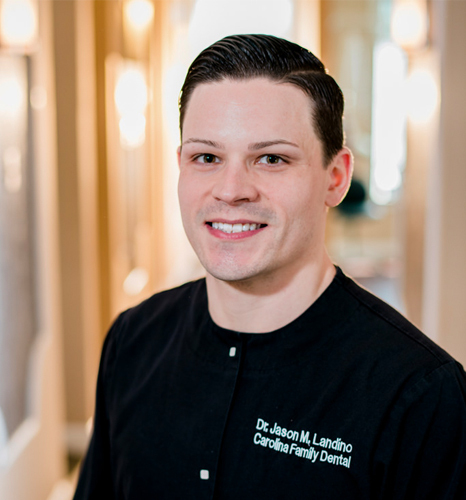 Dr. Landino’s goal is to create positive dental experiences for his patients through patient-centered communication, oral health education/disease prevention, and the delivery of excellent, personalized dental treatment in order to enhance and restore the natural beauty of his patients’ smiles. He's excited to escape the harsh winters of New England, and looks forward to his life down south with his wife, Allison, an elementary school teacher.